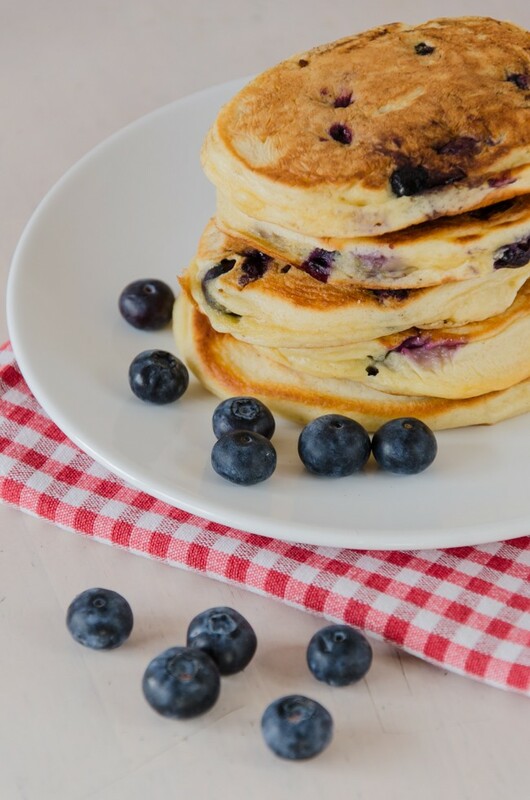 Shrove Tuesday, alternatively known as ‘Pancake Day’ these days, is coming up this week so it is time to share a pancake recipe with you. These are not the pancakes of my youth and memories though I am still fond of the tart lemon and sweet sugar drenched crepe type and the excitement of trying to flip them! These pancakes are more of a macho breakfast type and indeed are the type to be found in American diners (or so I gather). They are similar to Scottish drop scones so I guess that is where they originated. This recipe is an adaption from the February edition of Waitrose Kitchen magazine. (Dangerous shopping there, but that is another story for another time). I bought buttermilk in readiness for making pancakes but I also made a second batch with an alternative to buttermilk and couldn’t tell the difference. If you don’t have buttermilk then either 1. add a couple of tablespoons of natural low fat yogurt to 250ml milk, or 2. add a good squeeze of lemon juice to 250ml milk (semi-skimmed or full fat) and leave to sit for 10 minutes before using. Some recipes also add a tablespoon or two of melted butter and this would enrich the batter but I try that for my recipe. I love the bursts of hot, sweet fruitiness from the blueberries but feel free to add other fruits; I am guessing that raspberries and chopped strawberries would go very well. If you do not add any fruit then try adding half a teaspoon of vanilla extract to flavour the mixture. How you serve these is entirely up to personal preference; my favourite is maple syrup and I finished off the last of the bottle today as I have been using most of it to top my morning porridge. Enjoy your lazy weekend mornings and have a proper breakfast! Heat a heavy based frying pan or cast-iron griddle until smoking hot then turn down to low. Add a knob of butter and spread around the pan. Blob in spoonfuls of the batter, leaving a good distance between they as the spread quite a bit. Leave to cook on the first side for 3-4 minutes until bubbles appear on the surface, then flip and cook on the other side for another 2-3 minutes. 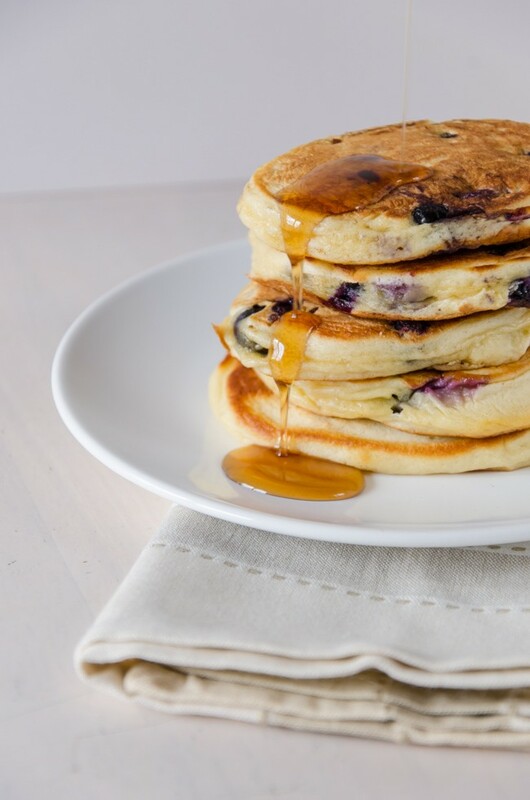 The batter doesn’t keep so cook it all but the pancakes are easily warmed the next day in a low oven, microwave or even the toaster.